I had so much fun putting together a listing of all the rookie Corey Seager cards earlier this month, I decided I should do the same for our homegrown staff ace Clayton Kershaw. 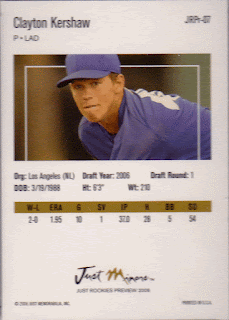 I've focused on cardboard from the years 2005 to 2006 - his primary rookie collecting years. 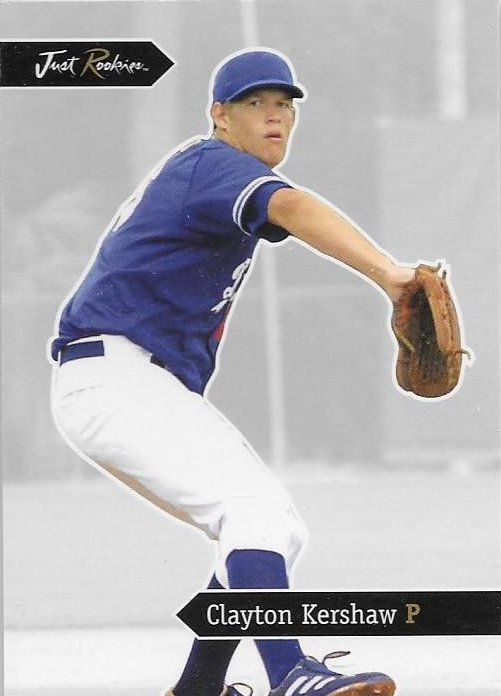 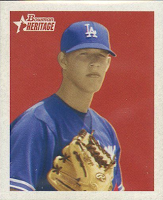 Like Seager, Kershaw has an officially licensed Baseball card while he was still in high school. 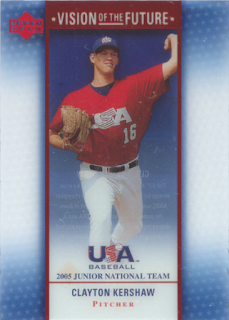 He was a member of the Team USA Junior National team, so Upper Deck included him in a box set they release in 2005. 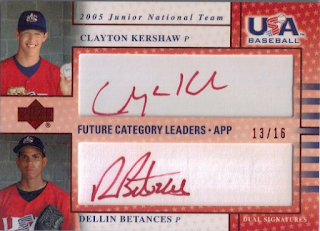 They were initially sold as a complete 25-card set and included a random autograph card, a game-used autograph jersey relic card, a dual signed autograph card and an insert card (a "Vision of the Future" acetate card). 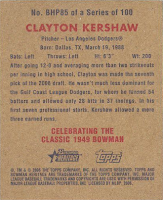 Check out all of the available Kershaw cards in this set below. 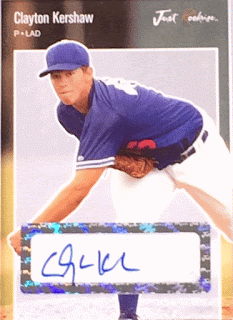 BTW, there are several different variations available for each of the autographed cards based on the color of the ink he used to sign them. 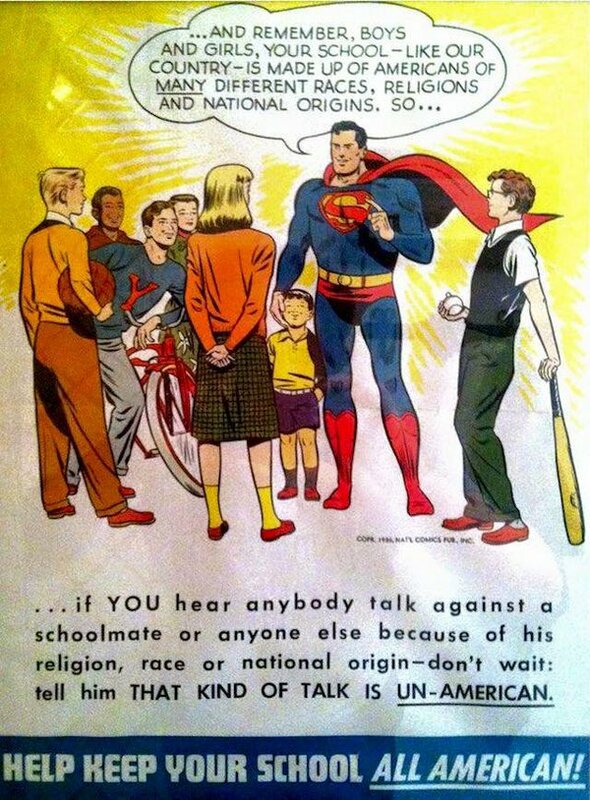 They come in black, blue and red. 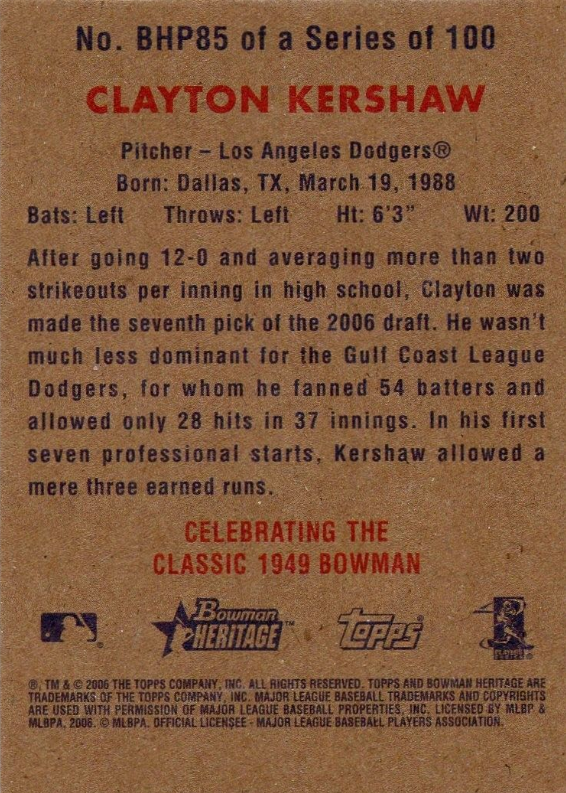 Also, I seem to remember there being green ink cards, but I have yet to find a good checklist indicating that. 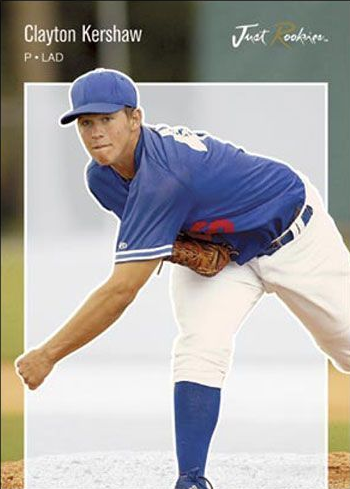 UPDATE: I thought I would add that his teammates on this team who also made it to the Majors include Brett Anderson, Greg Peavey, Shawn Tolleson and Bellin Betances. 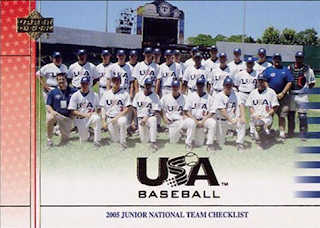 I figured I would include the 2005 Team USA Junior Baseball team card in this checklist. 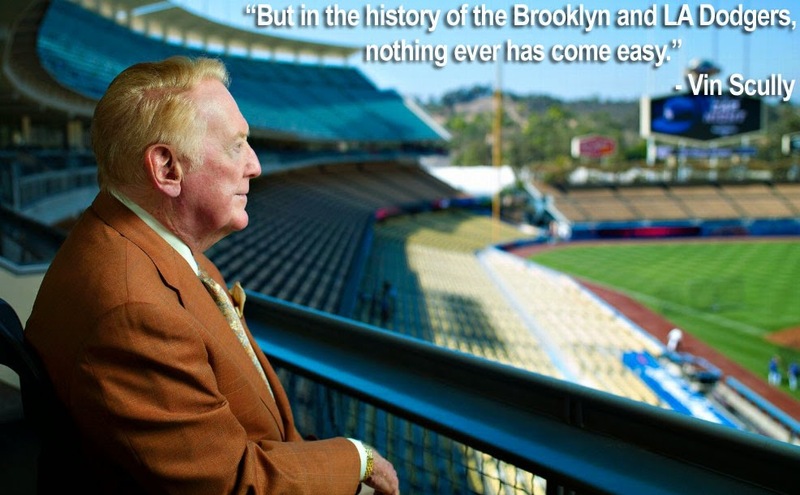 I promise you, he is somewhere in there. 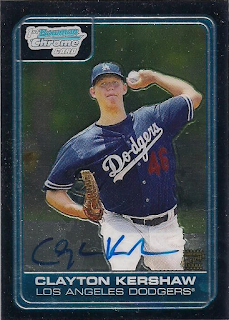 For the single autograph cards the color ink variation numbers are as follows: Black ink is numbered to #/495, blue ink is numbered to #/360, red ink is numbered to #/100. 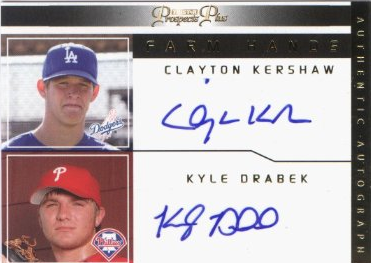 For the dual autograph cards the color ink variation numbers are as follows: Black ink is numbered to #/250, blue ink is numbered to #/100, red ink is numbered to #/16. 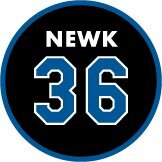 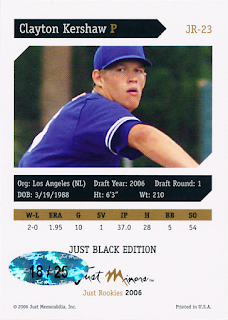 For the autograph relic cards the color ink variation numbers are as follows: Black ink is numbered to #/495, blue ink is numbered to #/360, red ink is numbered to #/100. This next card, the 2006 Bowman Chrome Autograph card below, of Kershaw's is considered by most collectors to be his "key" card. 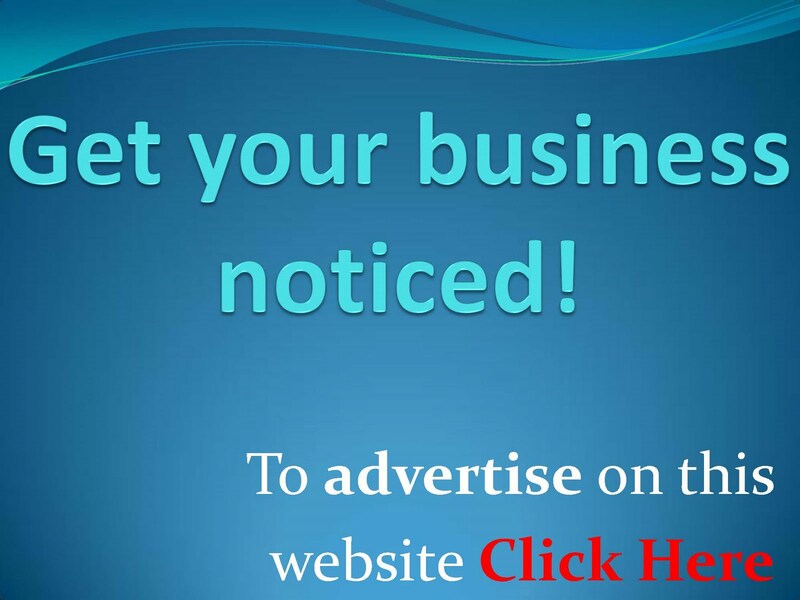 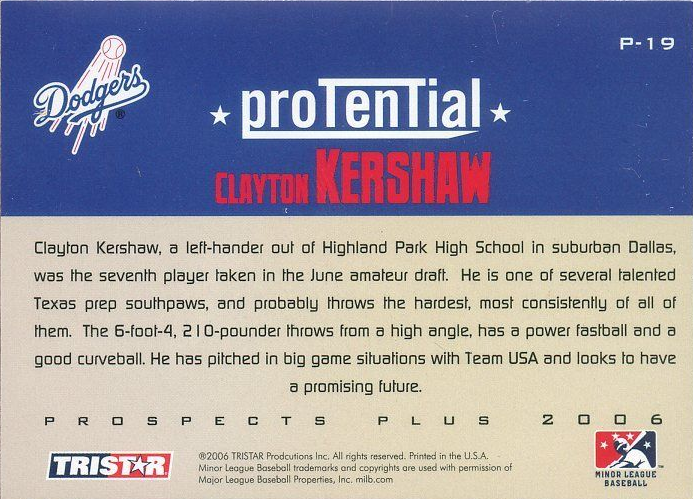 It is his main rookie card and easily commands the highest prices in the market. Limited parallel versions in fantastic mint condition can sell for thousand dollars. 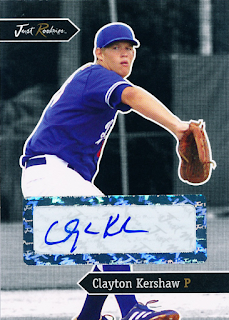 In fact, the Kershaw "1 of 1" superfractor parallel of this card sold in 2012 for about $17,500.00. Below is his base autograph Draft Picks card. 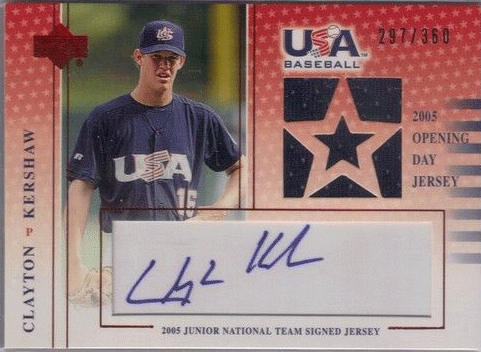 From my understanding, an autographed parallel of the card above is also available and numbered to only 50 copies. 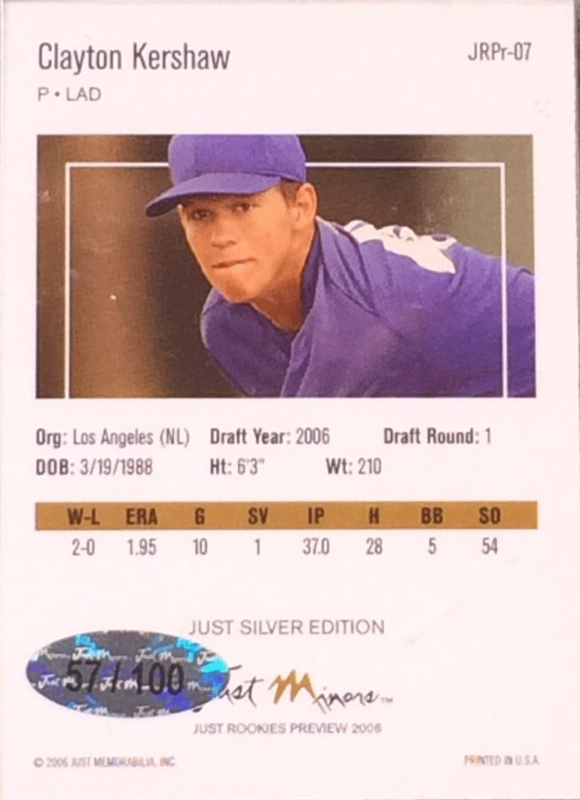 Unfortunately, I have not been able to track one down. There is also a triple autograph card of Kershaw from the "Farm Hands" insert set that features him with Kyle Drabek and Tim Lincecum. 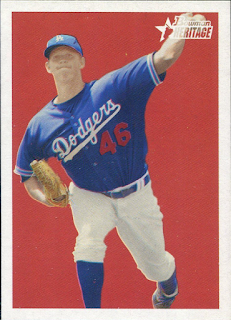 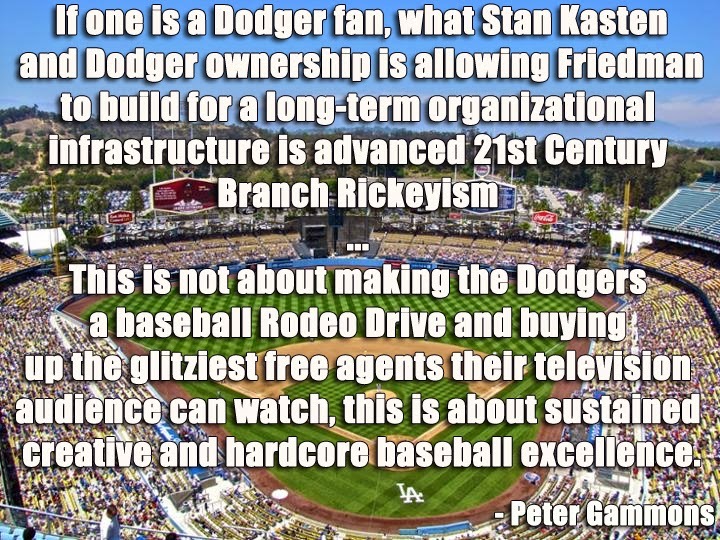 Unfortunately, I have been unable to track down a pic of it. 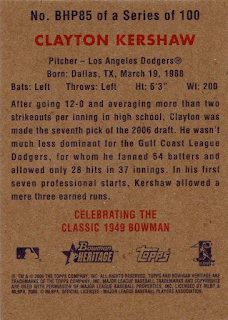 It is numbered to only five copies. If you happen to have one please pass a photo along. 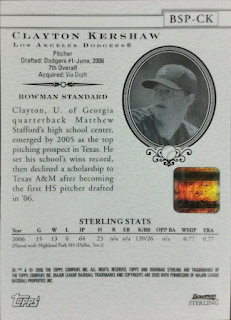 These next group of cards are all unlicensed (w/o an MLB license). 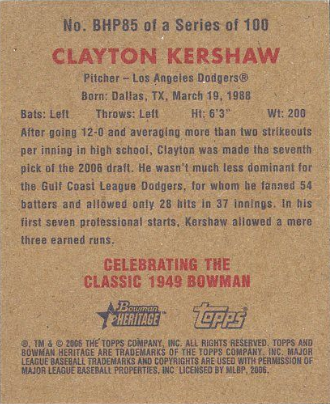 Also, finding a good source for a complete checklist on these sets is tough to come by, so I am likely missing several cards in the below checklist. 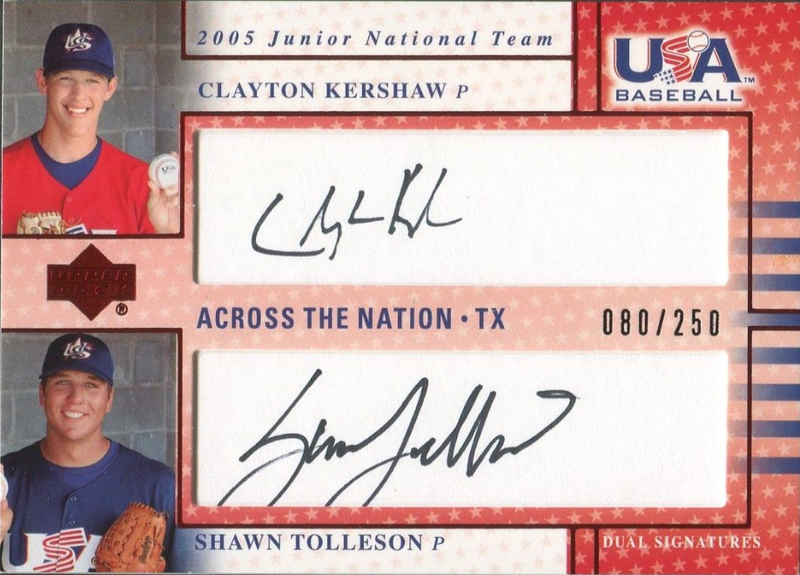 For instance Just Minors/Just Rookies also created a set in 2006 called "Justifiable" that apparently has several different dual and triple autograph cards of Kershaw available, but I have not included that in the list below. 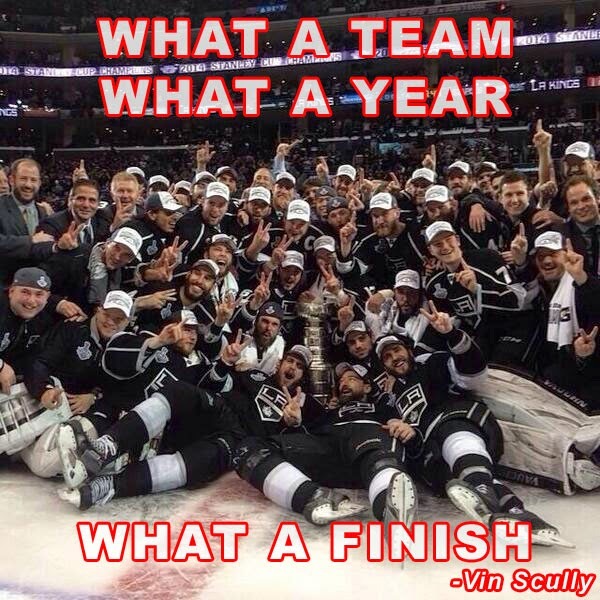 I just can't find a good checklist for that set.